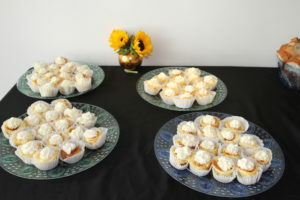 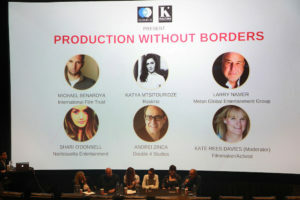 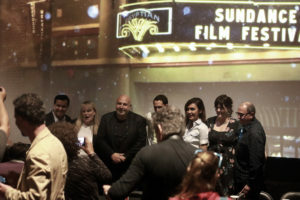 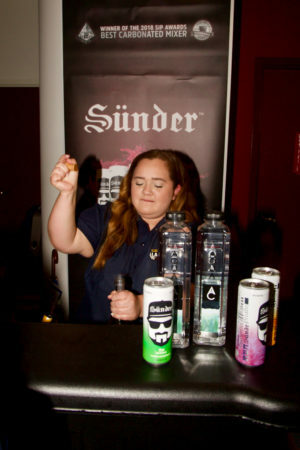 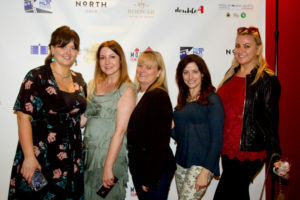 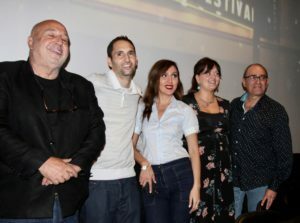 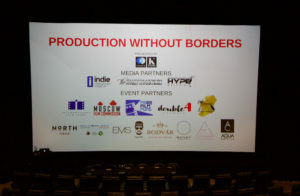 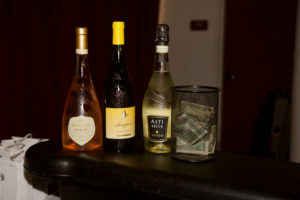 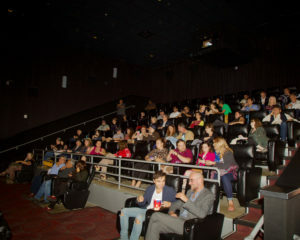 Cloud21 International (www.cloud21.com) and Kultura PR International (www.kulturapr.com) presented the “Production Without Borders” special, by invitation only event on November 5, 2018 at the Laemmle Film Center in Santa Monica, during AFM. 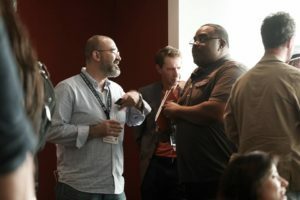 Top industry names took part in a lively panel discussion that promoted cultural and cross-industry collaboration. 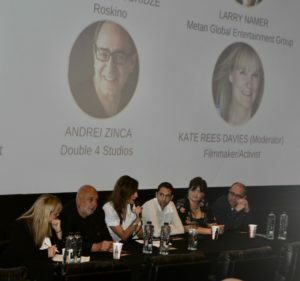 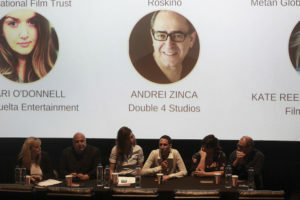 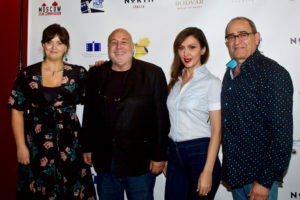 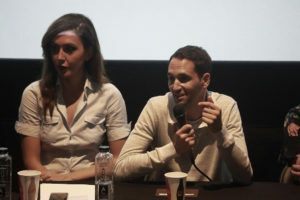 Panelists included award-winning producer Michael Benaroya, Founder, International Film Trust (www.iftsales.com) and Eclipse Films, Katya Mtsitouridze, CEO, ROSKINO (www.roskino.org), who represented the Moscow Film Commission, Larry Namer, E! 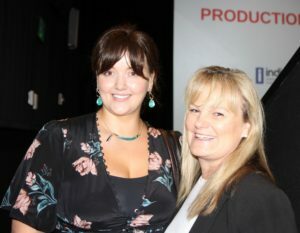 Founder and President/CEO, Metan Global Entertainment Group (www.metanglobal.com), who announced his latest film, the USA/China co-production “EMPRESS,” Shari O’Donnell, CEO/Founder of the Nantosuelta Entertainment (www.nantosueltaentertainment.com), who discussed the unprecedented co-production opportunities in Ireland, and Andrei Zinca, President/Founder, Double 4 Studios (www.double4studios.com), who represented The Romanian Film Fund and the Romanian Filmmakers Association. 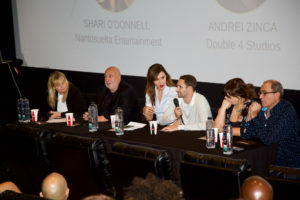 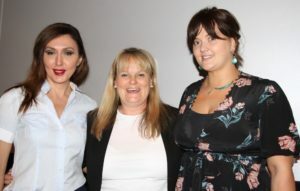 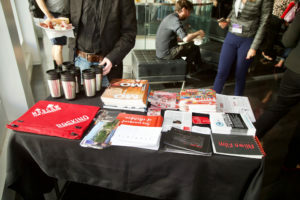 Award-winning British filmmaker Kate Rees Davies moderated the hour-long panel that was followed by an exclusive VIP reception where media and industry executives met and mingled, presented by Enjoy European Quality http://www.enjoyeuropeanquality.it.